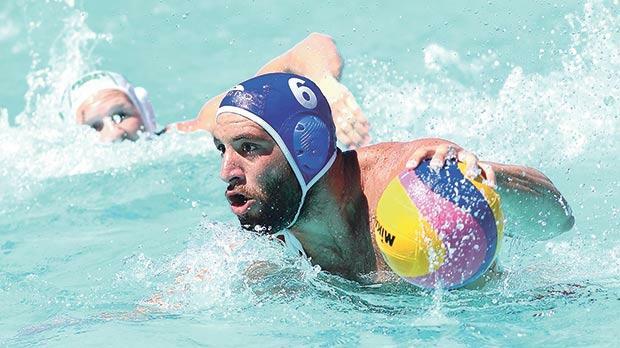 The summer waterpolo season will get off the blocks today with the match for the Sports Journalists Cup between Marsascala and Marsaxlokk at 6.15pm followed by the President’s Cup at 7.30pm between champions San Ġiljan and Neptunes. On Friday, the National League starts its trek which is scheduled to finish in exactly two months’ time if deciding play-offs are necessary. Like last year the six teams forming the Premier Division will each play 10 matches over two rounds which come to an end on July 27. Afterwards the top and bottom three teams will be split and start the play-offs to determine the winners of the title and the final placings. The four teams in the First Division will face one another four times making it a total of 24 matches before the title issue is resolved and standings sealed. The first top league clash on Friday will be between Sliema and Valletta, preceded by the First Division match between Ta’ Xbiex and champions Marsascala. Premier Division title-holders San Ġiljan have the qualities to repeat last season’s successes which were followed up with this year’s Winter League title. Their resurgence under the charge of coach Marko Orlovic is also the result of diligent planning by the club which included the acquisition of top players in recent years, the latest being that of Clint Mercieca from Neptunes. Young talent has also surfaced, with Ben Plumpton and Andreas Galea leading the pack against an influential backdrop of seasoned campaigners. Matthew and Dino Zammit, Aurelien Cousin, Paul Fava and goalkeeper Joseph Sammut top the list at San Ġiljan. Neptunes seem to have reached a climax after lifting the title for the fifth time in a row in 2014. The club’s lack of a clear policy when renouncing to several promising players in recent years, plus the retirement of Michele Stellini, the departure of Mercieca and now the premature retirement of young Sean Xerri de Caro, appear to be backfiring despite the emergence of new talent the Reds are renowned for. It remains to be seen whether flag-bearers Niki Lanzon, Steve Camilleri and his brother Jordan can make an impact in the battle for the honours. Sliema, a team also steeped in success, have arguably the longest squad with coach Dejan Milakovic again in charge of the team. John Soler, Mark Meli, Jerome Gabarretta, Edward Aquilina, Alex Attard, the prodigious Nicholas Bugelli and others are the nucleus of a strong side capable of extending their successes to higher record levels. Sirens have been on the brink of breaking into the top three. This was evident in some positive results they obtained in recent years. It is understood that Joe Caruana Dingli will replace coach Bogdan Rath. The backbone of their team is a group of young faces led by goalkeeper Nicholas Grixti, with veteran captain David Cutajar and Gabriel Pace supplying the oil in their engine. However, they have to improve in order to regain some honourable standing. The same can be said of Valletta, a team mainly dependant on a core of middle-of-the-range players who are at times capable of giving the top-notch sides a tough run for their money. Veteran Charlie Zammit, Michael Rizzo, Michael Cordina, James and Michael Spiteri Staines and Daniel Paolella need that extra knowhow to lift their team further. Exiles are in a constantly precarious predicament. Their outfit is not quite tailored to make the breakthrough that raises teams to the strata of challenging for top honours. They are best remembered as a supply team that furnishes other sides with some of their promising players. Their target has chiefly been that of avoiding the bottom rung of the Premier League ladder. The lower division will again have Marsascala as the main contenders for the league title. Determining the final positions of the other sides seems to be a close call. The innovation this year is the reduction from two to one foreign player per team. This change could, nevertheless, be beneficial in the long term as clubs will now have to rely on more local players groomed in their ranks. Sports Journalists Cup: 18.15 Mar-sascala vs Marsaxlokk. President’s Cup: 19.30 San Ġiljan vs Neptunes.